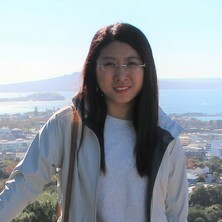 Yufan Mu is a research fellow in the School of Chemical Engineering at the University of Queensland in Mineral Processing Engineering. Her current research focuses on pyrite depression in saline water. She completed her PhD research in the University of Queensland from 2013 to 2017. Her PhD research topic is “Depression of pyrite flotation by lignosulfonate biopolymers”. This study is part of an ARC Linkage project, improving the processing of low quality ores by the modification of particle interactions by Pionera biopolymers, with support from Pionera, Norway. She studied the flotation of multi base metal sulphide minerals, mineral oxidation and dissolution, the activation of gangue minerals, the galvanic interactions between sulphide minerals, the interaction of flotation chemicals with sulphide minerals, the surface modification of mineral particles and the performance of biopolymers as pyrite depressants. Her research work provides a guidance for the optimization of the structures of lignosulfonate-based biopolymers and lays a foundation for the application of the biodegradable biopolymers to solve industrial problems. From 2011 to 2013, Yufan Mu obtained her Master degree in Engineering at Northeastern University, China. During her time there, she worked on part of the project, efficient utilisation of coal-based reduction of high phosphorous oolitic hematite. This project was supported by National Natural Science Foundation of China. In this project, she developed an optical image analysis method to measure the particle size distribution of the reduced iron particles, analysed the growth process of iron particles and established a regression model for estimating the particle size distribution. From 2007 to 2011, Yufan Mu obtained her Bachelor degree in Engineering at China University of Mining and Technology. Lauten, R. A., Burns, C. , Mu, Y. and Peng, Y. (2018). Pyrite depression at Boliden Tara using F-250 – a biopolymer. In: The 14th AusIMM Mill Operators’ Conference 2018. The 14th AusIMM Mill Operators’ Conference 2018, Brisbane, Australia, (385-392). 29-31 August 2018. Mu, Yufan, Peng, Yongjun and Lauten, Rolf A. (2016). Depression of pyrite in the flotation of chalcopyrite using biopolymer depressants. In: XXVIII International Mineral Processing Congress Proceedings. XXVIII International Mineral Processing Congress Proceedings, Québec City, Canada, (). 11-15 September 2016. Mu, Yufan, Peng, Yongjun and Lauten, Rolf (2014). The flotation of pyrite and chalcopyrite in the presence of biopolymers. In: Juan Yianatos, Proceedings of the XXVII International Mineral Processing Congress: IMPC 2014. IMPC 2014: XXVII International Mineral Processing Congress, Santiago, Chile, (132-142). 20-24 October 2014.